Danielle will be in Australia early September and emailed me to say she was wondering about hopping over to New Zealand for the exhibition. She won’t be able to stay for the poetry reading but she just might make it to the opening. Here’s hoping. As Danielle said, it’s a bit of a long hop from Australia – it’s still a shorter hop than from the UK! One New Zealand artist is sending his work from Ireland so I think it’s only fair we cadge a poet from the northern hemisphere! I was really delighted when Poems in the Waiting Room NZ asked to use one of my poems for the cards. I was even pleased ‘Giraffe’ was chosen for this project – a quirky poem about a giraffe living in your house – or something more. I once wrote a poem about foxes in London. At that time they were rare, but now they are all over the place. And so I am a bit worried that one day I will find giraffes also over London. 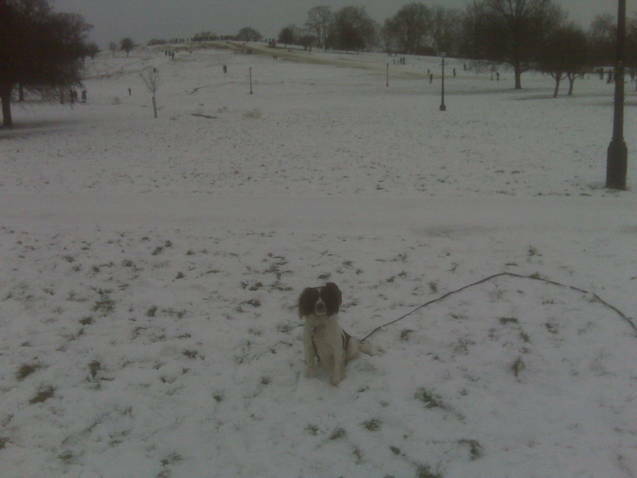 I think my giraffe is rather greedy, with eyes borrowed from those of my rescue Springer Spaniel, Biddy (you can see her in the photograph of Primrose Hill in the snow). I was born on a farm in South Lancashire, moved to Nottingham, and then all over the place, eventually ended up in London. My day job is as a doctor, so I can see at first hand the value of poems in the waiting room. That time when you are waiting for news, good or bad, or to have something checked out. It’s a lonely time. Now I live near the Regents Canal (but not the posh bit) in London, and often go walking along the canal, or on the heath, or swimming in the ladies pond in Hampstead Heath. With two fellow writers, I used to edit and run a poetry magazine called Zenos, focussing on British and International writing, because we wanted to open our eyes to international voices. I’ve also been a Trustee of and then advisor to Survivor’s Poetry, which celebrates and promotes the creative expression of survivors (of mental distress and the mental health system) through poetry. Now I am also an advisory editor of Acumen Poetry Journal and also help in organising the annual Torbay Festival of Poetry . 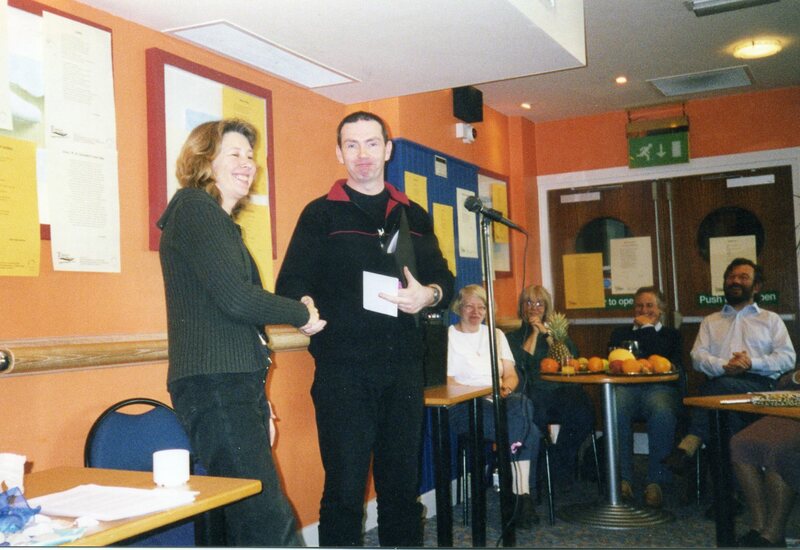 In the picture, I’m congratulating Alan Murray winner of the festival competition, the year I was judge. 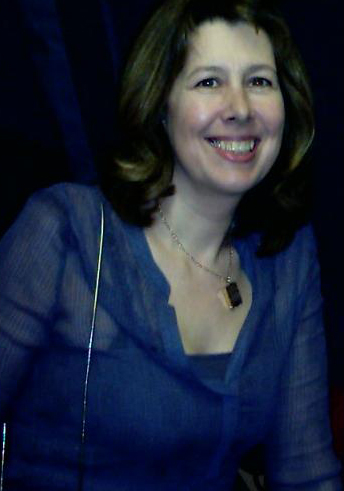 I’ve had 4 books of poetry published – Fairground of Madness, City Fox, The Stone Ship, and Giraffe under a Grey Sky– all with Rockingham Press and my work has appeared in many anthologies, newspapers, journals and magazines, as well as on Poems in the Underground UK, and the UK Poems in the Waiting Room. and light to dark again. to deluge the whole platform. that is not like that. knotted reeds and secret trout. are from the same soil. and our joined brown blood shudders. I feel it gnaw my ribs. This crop gone the way of the last. from a bed of stones. and sparrows you only hear. my garden is still stones.